Bourguignon for me is the king of casseroles. 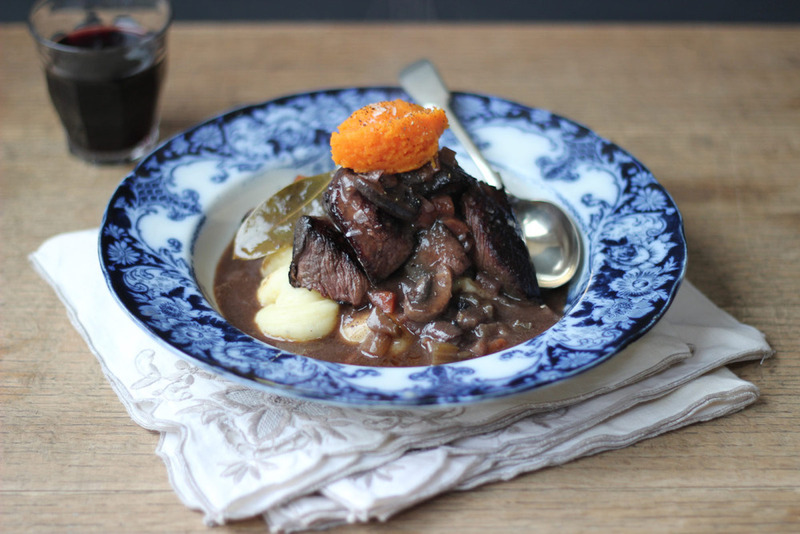 Meltingly tender beef gently cooked in a marinade of smoked bacon lardons, shallots, mushrooms, carrots, bouquet garni and Burgundy wine. It is rich. It is intense. It is comforting. It is utterly delicious. And best of all? It is easy peasy. I make my bourguignon using a cook marinade. This is the wine, stock, aromatics and vegetables cooked together until the alcohol has cooked out of the wine, then left to cool completely before adding the meat to the marinade to take on its flavours. 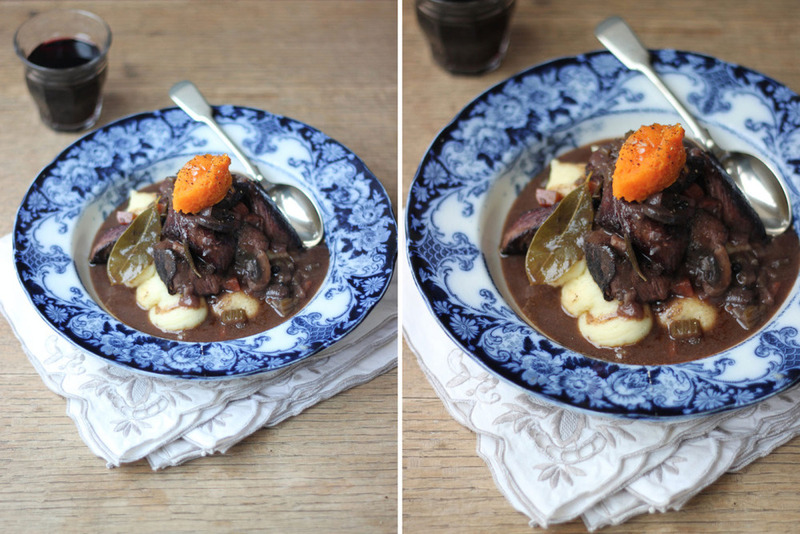 For this version because I cooked it for so long I chose just to marinade the meat for 12 hours, but if you’re cooking your bourguignon in a slow cooker or casserole pot on the hob or in the oven, I recommend marinading the meat for 24 hours. But regardless of which way you choose to cook it, you need to use a cheap cut like feather steak, cheeks, or as I have used here – chuck. These cuts take long and slow cooking to make them tender, but they are super tasty. My sous vide from SousVideTools.com worked its magic as usual, gently cooking the beef over 72 hours until juicy and tender but still with a good amount of bite. It emerged beautifully pink inside and all that was left to achieve was the Maillard reaction (the delicious crust to the outer) by searing it in a hot pan of foaming butter. Placed on top of pomme puree I then ladelled over the reduced cook marinade and finished with some seasoned mashed carrot. What could be simpler? 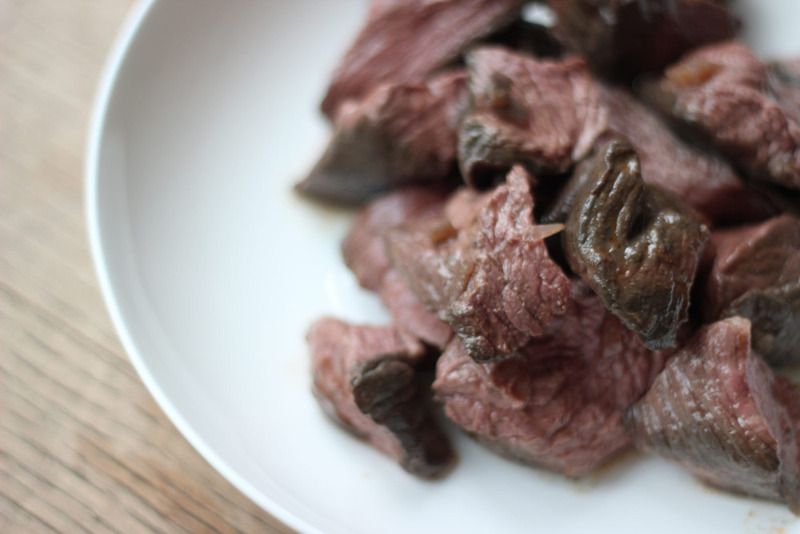 If you aren’t in possession of a sous vide or don’t have the time to wait 72 hours, marinade the beef in the same cook marinade, but cook it on the hob or in the oven for around 3 to 5 hours until the meat starts to fall apart. You wont be able to get the outer of the chunks crispy but it will start to shred in its sauce and be completely delicious. In a saucepan add a knob of unsalted butter and a knob of duck/goose fat, and when they start to foam add the smoked bacon lardons. When they start to render their fat and turn crispy at the edges, add the shallots, carrots and celery. Cook on a medium heat until softened. Add 400mls of the wine, tomato puree, stock, water, herbs and garlic, along with a generous grind of black pepper. Cook on a simmer for about 10 to 15 minutes and then leave to cool completely. Once the marinade is cold add the diced beef and let it marinade for 12 hours (if cooking it in a sous vide) or 24 hours if cooking on the hob or in a slow cooker). After it’s marinaded, place the beef into 2 large vac bags and ladel over a couple of ladles of the marinade and vegetables, vacuum the pouches and seal them. Put into the preheated sous vide of 55°C for 72 hours. 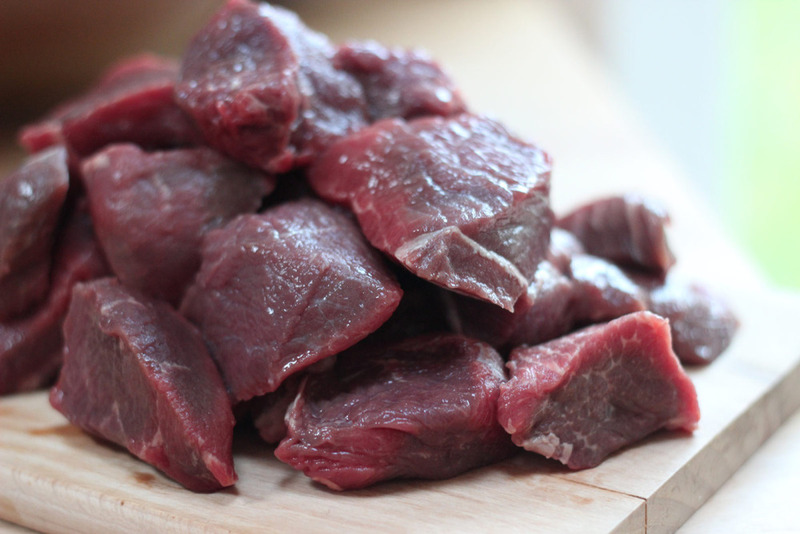 If cooking conventionally, put the beef into a casserole pot with all the marinade and on the hob on a low heat for a few hours – it will need stirring occasionally to stop it catching. If cooking in the oven cook it at 150°C for around 3 hours. The marinade that doesn’t get put into the sous vide needs saving and putting into the fridge. When you’re ready to serve, take the beef from the sous vide and open the packets. Remove the meat and decant the sauce into a saucepan and add the rest of the cook marinade reserved from earlier. Add the goose/duck fat, the remaining 200mls of wine, cornflour mix, mushrooms and cook on a low simmer for around 20 to 30 minutes until it’s reduced and thickened. Taste for seasoning and add more salt and pepper as needed. While the marinade is reducing, cook the potatoes and carrots in separate pans, and in a small pan on a low heat, place the milk and 100g salted butter with a generous grind of black pepper. When the potatoes and carrots are cooked through drain them both. Blitz the carrots with a little butter, salt and pepper, and rice the potatoes, and once riced pour over the warmed milk and salted butter mix. In a frying pan place a knob of unsalted butter and glug of vegetable oil and put on a high heat, when the butter begins to foam place the chunks of sous vide beef into the pan and sear on all sides until you have a dark crust as in my pic of the beef in a white bowl. 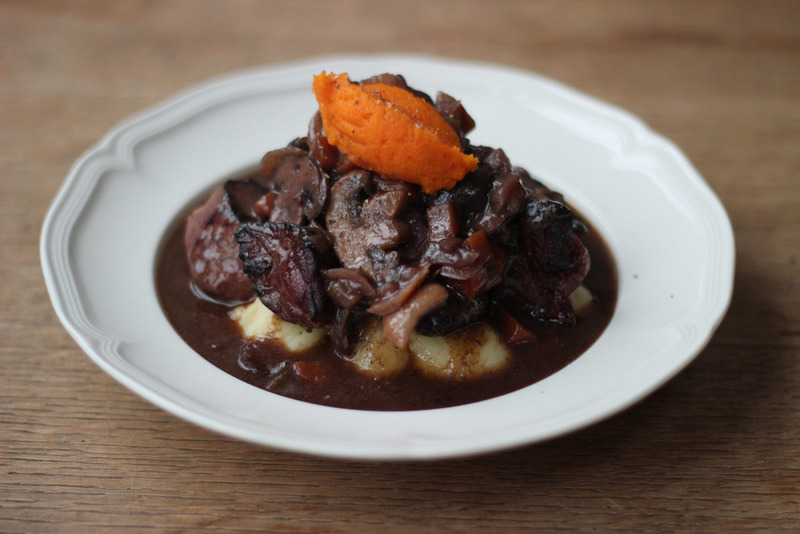 Place the beef on top of the pomme puree, ladle over the bourguignon sauce and top with a quenelle of the carrot mash. Et voila.